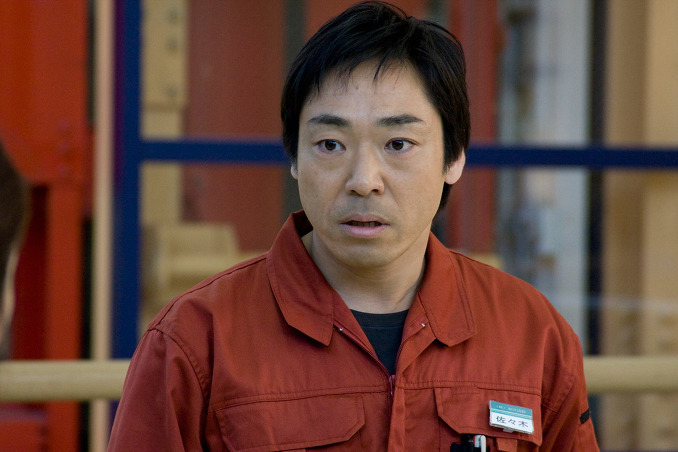 In the Sasaki home, Ryuhei Sasaki (Teruyuki Kagawa) goes to work as the typical salaryman. The mother Megumi (Kyoko Koizumi) is your typical housewife. Meanwhile, youngest son Kenji (Kai Inowaki) goes to school and takes karate lessons. Meanwhile, older son Taka Sasaki (Yu Koyanagi) is still looking for his place in life. 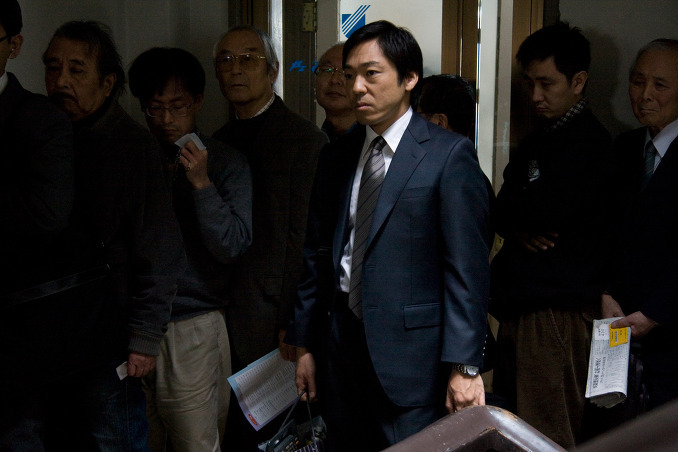 Within this average Tokyo area family, dark lies and unhappiness fester in the fringes. Ryuhei loses his job, but is unable to tell his wife the truth. Kenji experiences bullying at school and secretly takes piano lessons rather than the karate lessons his parents pay for. Housewife Megumi lacks something in her life. 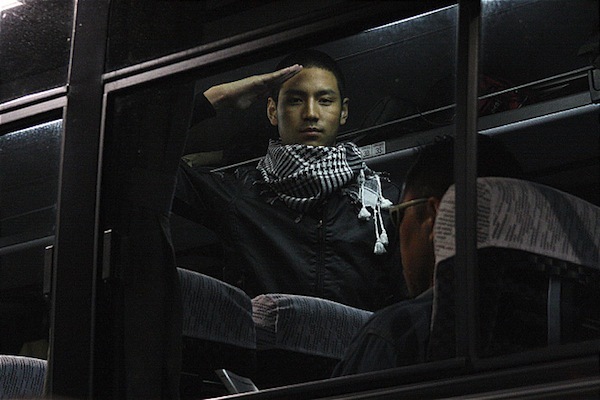 While, oldest son Taka decides to join the military. How far will the Sasaki family go to hide their lies? Ki Mar 24 2009 12:19 am There’s only a handful of films that I have seen that compares to “Tokyo Sonata.” Sam Mendez’s “American Beauty” and Toshiaki Toyoda’s “Hanging Garden” quickly comes to mind as they are both wonderful films that also tackle dysfunctional families with aplomb. “Tokyo Sonata” easily compares to these films and then some, as it uses the family structure to examine Japanese society at large. 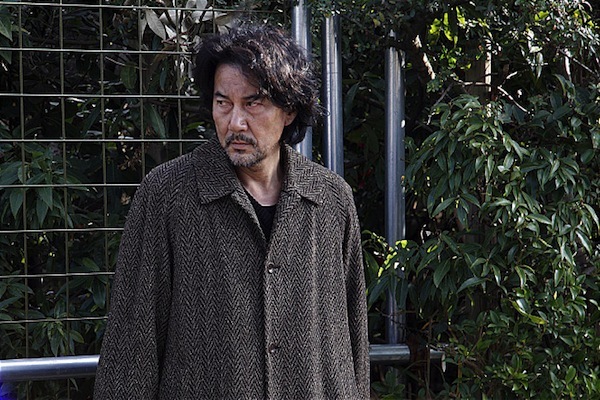 Well regarded director Kiyoshi Kurosawa steps away from the thriller/mystery/horror genres that have made him so well known in the international film festival circuits to make a harrowing film on the destruction of the family unit. 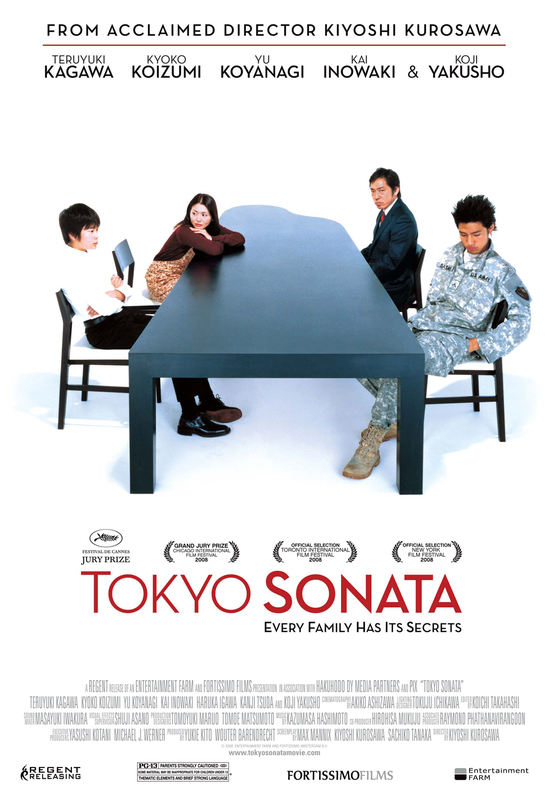 But don’t take “Tokyo Sonata” as an utterly bleak film. The film brings out a message hope and ends on a completely uplifting note. 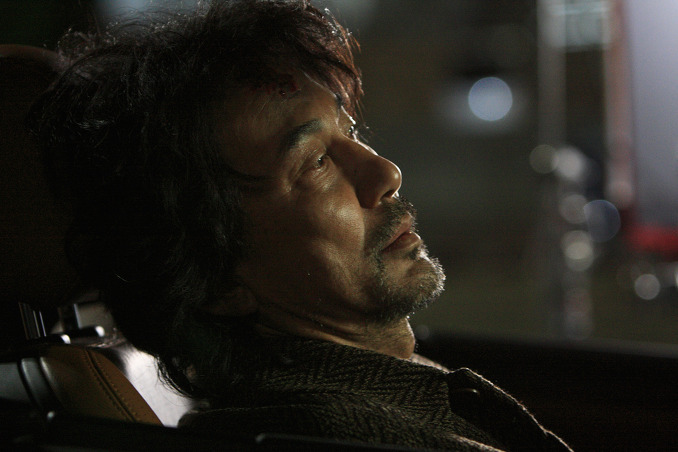 Quite possibly, “Tokyo Sonata” will be remembered as Kiyoshi Kurosawa’s masterpiece. The Sasaki family consists of Ryuhei (Teruyuki Kagawa) as the father, Megumi (Kyoko Koizumi) the mother, Takashi (Yu Koyanagi) their teenage child, and Kenji their pre-adolescent child. Ryuhei is a mid-level manager in a corporation, but becomes expendable by cheaper Chinese labor. Ryuhei’s pride then pushes him into a downward spiral as he passes on remedial jobs and hides his unemployment status from his family. 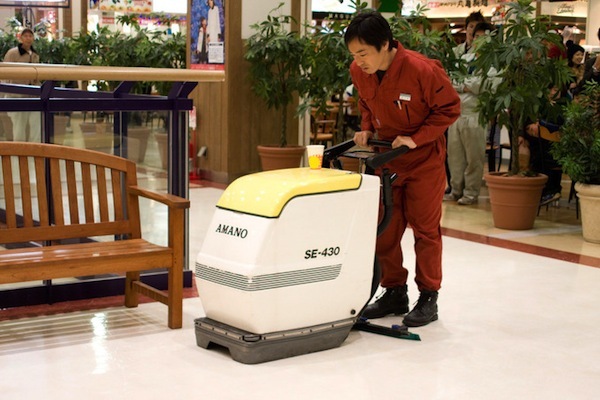 Ryuhei continues to leave for work everyday, but spends his time in the park or the library. Youngest child Kenji seeks to take piano lessons but his staunch father refuses to give his permission without even an explanation. 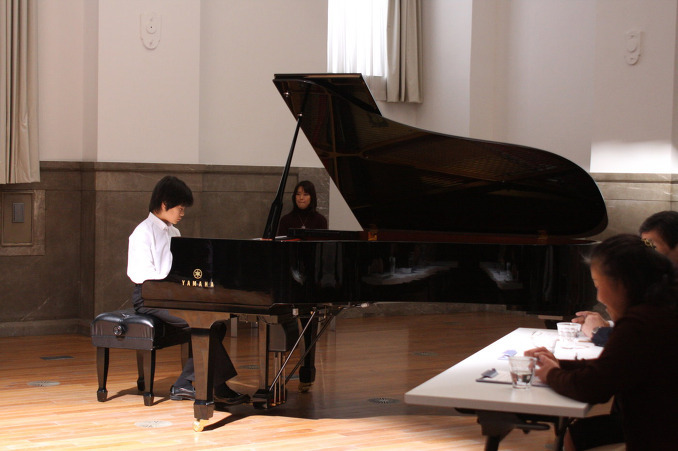 Kenji then takes his monthly lunch allowance and pays for his own piano lessons. Disenfranchised teen Takashi tries to find himself in the adult world and, one day, abruptly announces his intention to join the American army. Through all of this, Megumi slowly watches her family unravel at the seams, while also becoming overwhelmed by her own inner disillusionment. Will the Sasaki family survive? Performances are all around superb with Teruyuki Kagawa giving one of his most intense and electrifying performances to date. 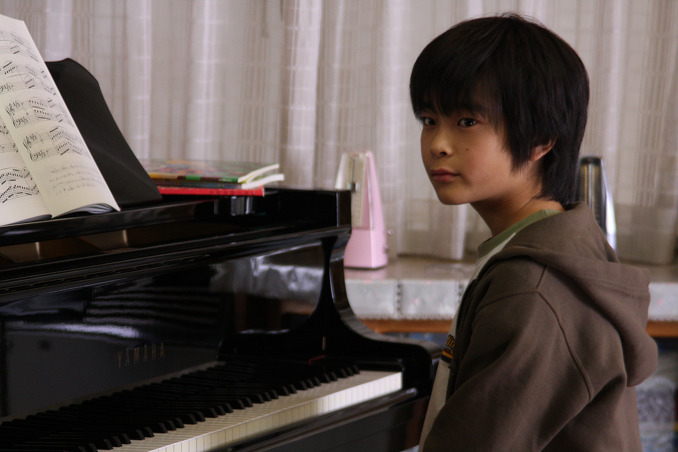 The scene where Kagawa confronts his son for taking piano lessons is worth the price of admission alone. Kagawa gives a look that would have made Mike Tyson look away in his prime. There’s also Kyoko Koizumi giving a more reserved performance that works tonally, to balance Kagawa’s high strung performance. Lastly, Kanji Tsuda gives a head turning performance as the fast talking, unemployed friend of Ryuhei. 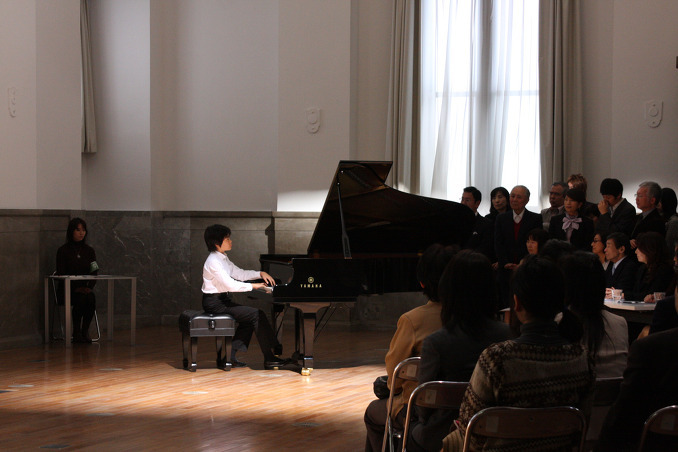 “Tokyo Sonata” is multi-layered film that follows the path of a musical sonata in its narrative structure. Kurosawa uses naturalism in the first half of the film to lay out its story and then builds up to a dizzying crescendo with a more unpredictable style that’s familiar with Kurosawa’s past works. As you watch the Sasaki nucleus disintegrate, you can’t help to note the combination of exterior & interior forces that pushes and pulls the family apart. External factors like the ongoing world wide economic recession to America’s aggressive foreign policy all play their parts to disrupt the Sasaki family. Furthermore, Ryuhei’s staunch conservatism, rooted in the traditional Japanese viewpoints of the male authoritarian figure, does as much damage to the Sasaki family as those external factors. With these myriad of factors, Kurosawa then brings to light the gaping distance found in the Sasaki home. Dinner time, the traditional moment where the family unit comes together, is frequently filmed with a long stationary shot that emphasizes the distance between the members and made even more pronounced by the frequent obstruction of view by household fixtures (stairway, cabinet, walls). Meanwhile, Megumi holds the family together with quiet reserve, typical of the traditional motherly figure, but also shown longing for her freedom. This is shown by her new driver’s license and her fondness for convertible sports car (note her metaphorical remark “wow the roof comes off?” at the car dealership). The only blemish found in an otherwise mind blowing piece of work would lie with the extended beach scene involving Megumi and the thief (Koji Yakusho) at the beach. Hallmarks of a clichéd art film are found in these scenes, but you also have one incredibly sublime scene with Megumi stating her wishes to wake up from her lifelong dream. And back to the musical sonata reference. Like the history of the musical sonata itself and its debated use of a rigid musical structure, that some have remarked to actually inhibit musical creativity, Ryuhei and the Sasaki family are finally able to find hope through abandonment of their rigid family structure. As Megumi so succinctly tells Ryuhei, “screw your authority.” When saving face is forgotten and honesty can come to the forefront, there is finally peace found in the Sasaki family. What a wonderful film.